SP Hunters coach Michael Marum has named Junior Bobby and Patrick Morea to make their debuts in this weekend’s Intrust Super Cup Round 6 game against Redcliffe Dolphins in Brisbane. Junior Bobby becomes Hunter No. 64 when he runs on in the starting line up on the wing in place of Brendon Gotuno who has been omitted while Morea will become Hunter No. 65 when he comes off the bench. Edene Gabbie has been moved to fullback for the injured Adex Wera. Junior Rau shifts to the wing with Paul Wawa making a return to the starting line up in the centres. Baundo Aba starts at prop in place of Adam Korave who has been omitted. Watson Boas will partner brother Ase in the halves. Enock Maki returns from injury and has been named on the bench. Marum will finalise the travelling 18 man team on Thursday. 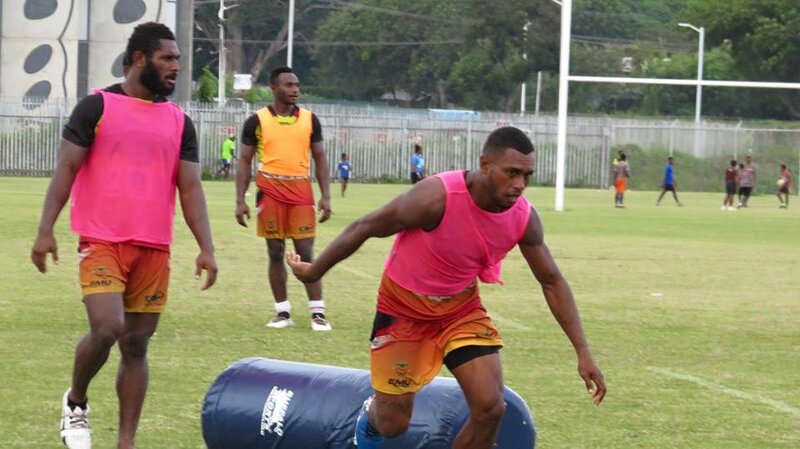 The team departs Port Moresby on Friday for the Saturday (April 14) 6pm game against Redcliffe Dolphins at Dolphin Stadium in Brisbane. They return on Sunday. Marum also announced that Muka Peter Kula has been released from the squad with immediate effect for inconsistent performances.